Now that it’s back to school season for us I’m always trying to find quick and easy dinners, especially since we have soccer or volleyball at least 3 nights during week. 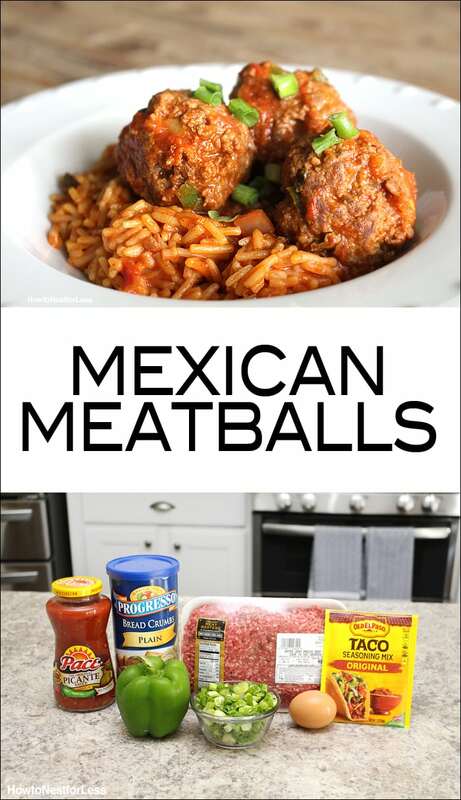 Mexican is always a big hit in my house so I decided to take a spin on an old favorite and try Mexican Meatballs! 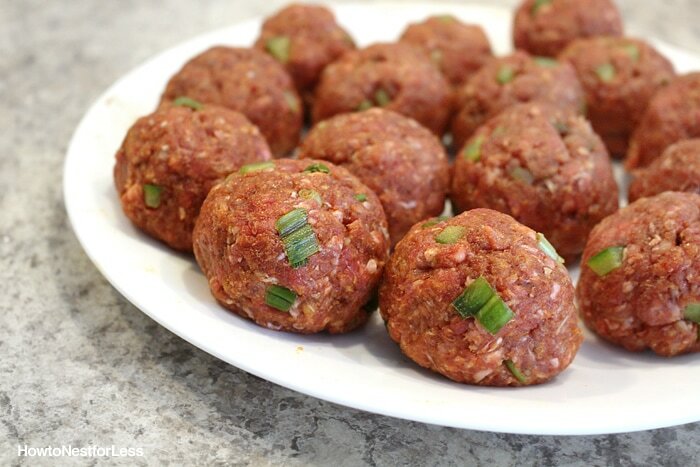 In a large bowl, combine all ingredients except salsa and mix well. Form into 1 inch balls. 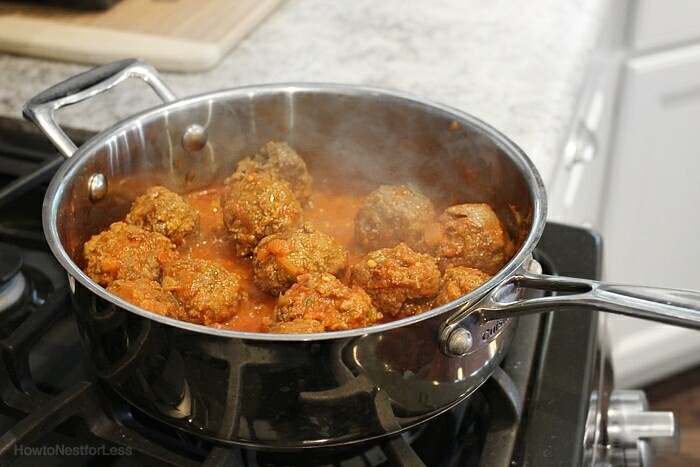 In a large skillet brown the meatballs on all sides and drain fat. 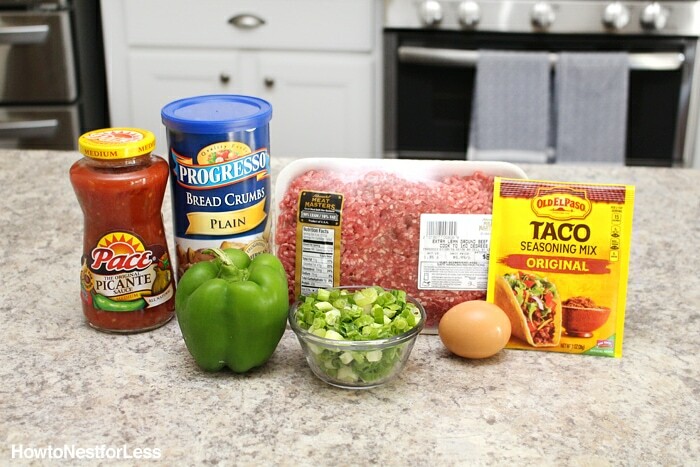 Add salsa to the skillet and bring to a boil. Reduce heat and simmer for 10 minutes uncovered. Serve on top of Spanish rice and you’re done! 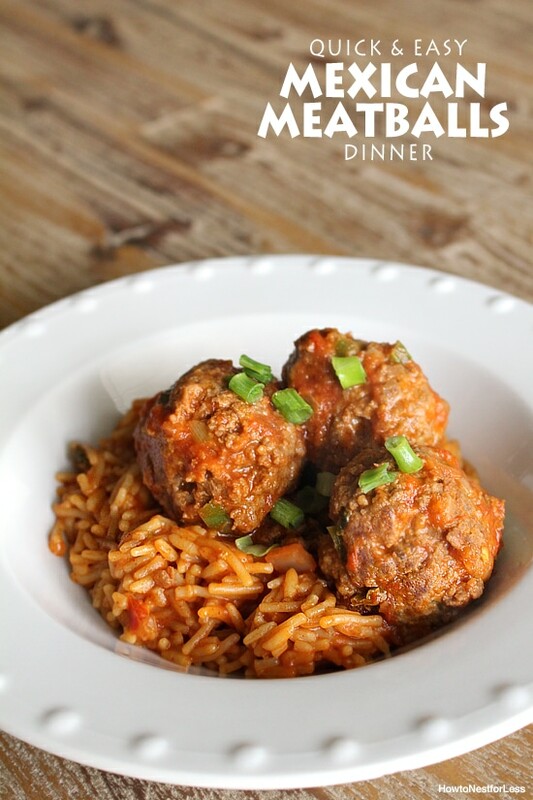 Super simple and quick dinner, plus the whole family will love it. I was curious about a couple of things……are we just to guess about serving amounts? Prep/cooking time would be nice. Would there be any chance that the recipe (ingredients/directions/additional notes) could be presented together in in one area of the presentation and not have each sentence be divided from the next by a picture? Perhaps you could set a new rule for yourself by picking a number of pictures as a rule of thumb for all recipes and always including amount of servings. You have done well so far and I encourage your excellent participation. I definitely see your point! I’ll start adding a recipe card at the end of the post like I used to. THanks for the comment! Yum! These sound delicious! Thanks for sharing with Merry Monday!